The Shankaracharya Temple is also known as the Jyeshteshwara temple or Sulaiman Throne (Takht e Sulaiman) by Muslims and Pas Pahar by Buddhists. It is on top of the Shankaracharya Hill (also called Hill of Solomon) on the Zabarwan Mountain in Srinagar, Jammu and Kashmir, India. It is dedicated to Lord Shiva (Shri Shiv Ji). The temple is at a height of 1,000 feet (300 m) above the plain and overlooks the city of Srinagar. The temple dates to 200 BC, although the present structure probably dates to the 9th century AD. It was visited by Adi Shankara and has ever since been associated with him; this is how the temple got the name Shankaracharya  . It is also regarded as sacred by Buddhists. Some historians report that the temple was actually a Buddhist temple during the Buddhist era which was then changed into Hindu site of worship by Adi Shankaracharya. Persians and Jews call it Bagh-i-sulaiman or the Garden of King Solomon. Persian inscriptions are also found inside the temple. According to Pandit Anand Koul (1924) the temple was originally built by the Hindu king "Sandiman" who, according to Koul, reigned in Kashmir from 2629 to 2564 BC. It was repaired by King Gopaditya (426–365 BC) and by King Lalitaditya (697–734 A.D.). Sikandar, the iconoclast did not, for some reason, destroy it. Zain-ul-Abidin repaired its roof which had tumbled down by earthquake. Sheikh Ghulam Mohi-ud-din, a Sikh Governor (1841–46), also repaired its dome. It was repaired by King Gopaditya (426–365 BC) and by King Lalitaditya (697–734). The earliest historical reference to the hill comes from Kalhana. He called the mountain Gopadri. Kalhana says that King Gopaditya granted the land at the foot of the hill to the Brahmins that had come from the "Araya versh." The land grant was called "GOPA AGRAHARAS". This area is now called Gupkar. Kalhana mentions another village in the vicinity of the hill. King Gopaditya housed some of the Brahmins to a village next door. Kalhana names this village as Bhuksiravatika (Buch’vore today). Kalhana also mentions that King Gopaditya built the temple on the top of the hill as a shrine to Jyesthesvara (Shiva Jyestharuda) around 371 BC. Abul Fazal mentions that King Gopaditya built the temple. Although many experts believe that the current temple was probably built later, most of them agree that the base of the structure does seem to be very old. It is said that Lalitaditya Muktapida (724-726 AD) of Karakote dynasty did repairs to the temple. According to Srivara Budsah, Zain-ul-Abideen (1420-1470 AD) did major repairs to the temple. He put the Kalash (spire) and the roof of the structure which had fallen due to an earthquake. The third time the temple was repaired was by the Muslim Governor, Sheikh Mohi-ud-Din (1842 to 1845) during the Sikh rule of Kashmir. The name of the hill was changed from Gopadri to Takhate-Suleiman during the period of Sultans. There is no historical evidence that King Solomon visited this valley. The name Shankaracharaya for the temple first appears when Governor Sheikh Mohi-ud-Din made the repairs in the mid-19th century. It had apparently not been used as a temple for centuries. At that time it was consecrated as a Shankaracharaya temple and a Shiv Lingam was placed inside. It is only during the Sikh period that people started to have prayer services at the temple and the Shravan Poornima started being celebrated there. The Dogra King Gulab Singh (1846-1857 AD) constructed the steps to the hill from Durga Naag temple side. The Maharaja of Mysore came to Kashmir in 1925 and he made the electrical installations at the temple. In 1961 Shankaracharaya of Dwarkapeetham put the statue of Adi Shankaracharaya in the temple. In 1974 the Government of J&K constructed the road that goes to the TV antenna near the top of the hill. Kashmir is believed to be the seat of Shaivam, the Himalaya Mountains and Sri Kailashagiri as "The massed laughter of Sri Shiva." It was from here that the sweet nectar of Shiva devotion spread in India and around the globe, by the spiritual works of saints like Adi Shankaracharya. Soundarya Lahari was composed by Adi Shankara atop the Gopadari Hill, after accepting the fact that the union of Sri Shiva and Devi Shakti, as in Shaktism, transpired into the Shakti-Shri Chakra, the symbol of Devi (Goddess), as Sri Yantra, as mentioned in 'Shankara Digvijay' - Life history of Shankaracharya, and only when Shiva is united with Shakti does he have the power to create. The Jyoteshware temple rests on a solid rock. A 20-foot tall octagonal base supports a square building on top. The terrace around the square temple is reached by a stone staircase enclosed between two walls. A doorway on the opposite side of the staircase leads to the interior, which is a small and dark chamber, circular in plan. The ceiling is supported by four octagonal columns, which surround a Basin containing a Lingam encircled by a snake. The temple is used for regular worship and pilgrims visit the temple during the Amarnath Yatra. There are 243 steps leading up to the temple area and another 8-10 steps from there to the temple hall. Entrance to the hill is guarded by army personnel and cars are not permitted after 17:00 hours, although the temple remains open until 20:00 hours. Views of Srinagar are possible from the top of the hill. 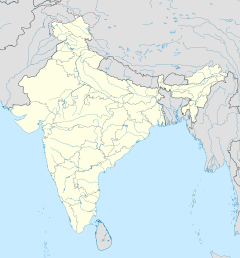 ^ "Shankaracharya lies on top of takht-e-sulaiman or sulaiman hill as reported by Archaeological Survey of India (ASI)". Faisal Wani. ^ "Explore the Beauty of Kashmir". ^ Ahmad, Khalid Bashir. "The Hill And The History". Greater Kashmir. Retrieved 13 March 2018. ^ Jammu, Kashmir and Ladakh: Tourist Guide. Akashdeep Publishing House. Retrieved 25 March 2007. The Buddhists still regard this temple sacred and call it Pas-Pahar. ^ Jammu, Kashmir and Ladakh: Tourist Guide. Akashdeep Publishing House. Retrieved 25 March 2007. ^ Jammu, Kashmir and Ladakh: Tourist Guide. Akashdeep Publishing House. Retrieved 25 March 2007. Pandit Anand Koul records that it was originally built by Sandiman,(sulimaan) who reigned from 2629 to 2564 BC. It was repaired by King Gopaditya (426-365 BC) and by King Lalitaditya (697-734 A.D.) Sikandar did not break it. Zain-ul-Abidin repaired its roof which had tumbled down by earthquake. Sheikh Ghulam Mohi-ud-din, a Sikh Governor (1841-46 A.D), also repaired its dome. ^ "The Hill And The History". ^ a b "Kashmir. Temple of Jyeshteswara [Shankaracharya], on the Takht-i-Suliman Hill, near Srinagar. Probable date 220 B.C." British Library. Retrieved 7 December 2013. ^ "Amarnath Pilgrims reach Shankaracharya Temple". www.hindustantimes.com. 22 July 2009. Retrieved 7 December 2013. Wikimedia Commons has media related to Shankaracharya Temple. This page was last edited on 24 March 2019, at 02:18 (UTC).